Do you enjoy throwing your money away? But I see people giving their money to Zuckerberg all the time by running one-off Facebook ads, boosted posts, and ads asking a cold audience to purchase and it drives me crazy. Here’s the thing: We buy from those we know, like, and trust. This is true from large corporations to an individual. Need an example? If you have the choice to go to Target or Wal-Mart, which one will you choose? If you live in the US, you most likely KNOW both stores, but do you LIKE both? Do you TRUST both? Here’s the other thing: 80% of sales take 5-12 touchpoints. People need to hear about things multiple times before they make a decision. Facebook and Instagram are a great way to start growing the know, like, and trust factor and get in some touchpoints. Buuuut, we know the algorithm makes it so that your posts are not as likely to be seen. So, let’s say someone likes your Facebook business page. They probably aren’t seeing all of your posts. You’re lucky if they see any of them at all. On average, any given post on a business page is only seen by about 2% of their fans. Now there’s definitely stuff you can do to get them to see your posts more without giving Facebook money for Facebook and Instagram ads, but at the end of the day, do you want them to only see your posts occasionally on Facebook and IG, or do you want a way to continue to get lots of touchpoints? A way to get lots of touchpoints, right? This is why we want to grow an email list. Well, part of why. We can’t control Facebook or Instagram or the algorithm. But when someone signs up on our email list, you own your email list, and you can email them at any time. And just like with posting, you can grow an email list organically, but it is SO much faster when you run ads to grow your list. When I first got started with my family’s business, back in 2014, I applied these same principles and grew our email list to over 160,000 people which has brought in well over $2 million in sales. AND the long term effects of growing and nurturing your list are so rewarding. With my family’s business, we we haven’t spent any money on growing the email list in well over a year, yet we consistently sell to our existing list because we grew quality list of our ideal audience and continued to nurture that list week after week. That is the power of having an email list. 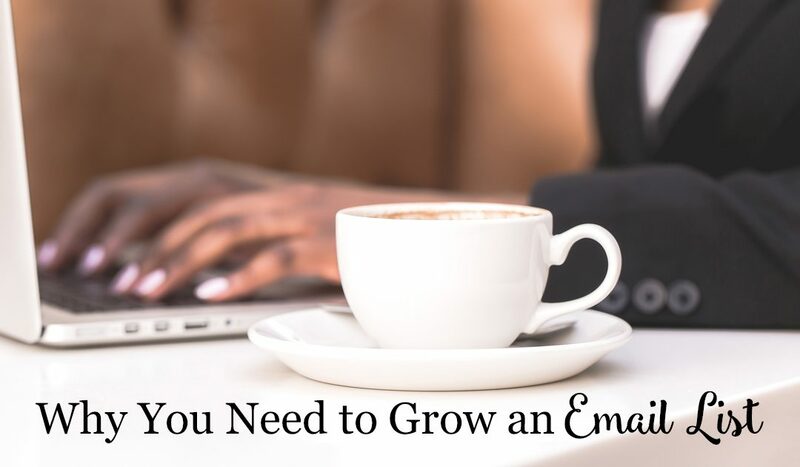 Are you continually growing your email list?